Introducing GoBites - the civilized travel utensils that are equally at home in the backcountry or the breakroom. GoBites are available in three models: the minimalist Uno, the clever Duo and the fully-featured Trio. All three models are built on the same foundation: real tools for real humans. All GoBites are made from a special, extremely durable nylon and backed by a lifetime warranty. GoBites are also BPA-free, PC-free, and phthalate-free. Trio's low-profile storage case keeps things clean during transport, and the lightweight, durable utensils will stand up to years of abuse. 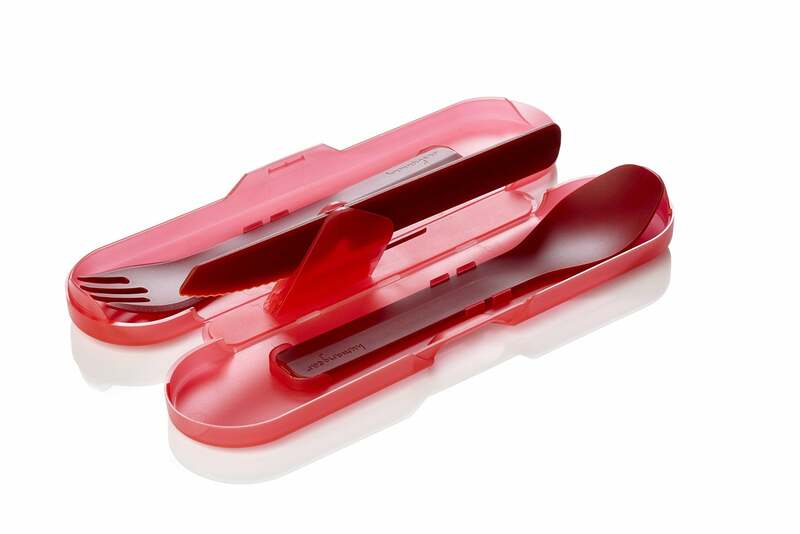 The Trio tools are designed with eating in mind - comfortable to hold but robust enough for serious eating. The knife blade is sharp enough to cut a piece of chicken and the fork tines are long enough to twirl spaghetti. Handy touches like an included toothpick and a metal bottle opener embedded in the knife round out the set.